The German mid-market firm has been working with advisor Park Hill on its 2013-vintage sole fund. Emeram Capital Partners, a German mid-market firm, has been exploring a GP-led secondaries process to help it extend the runway of its sole fund, Secondaries Investor has learned. 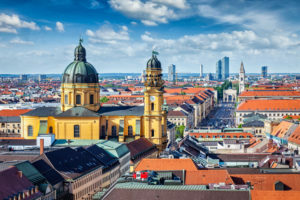 The Munich-headquartered firm has been looking for a buyer to back a tender offer on the 2013-vintage Emeram Capital Partners Fund I and provide capital for new investments in the same portfolio, according to two sources familiar with the process. It is understood Emeram has been working with advisor Park Hill. The firm wants to make more investments with the fund, which is fully drawn, before the launch of a second fund, Secondaries Investor understands. It is unclear whether the process is still going ahead. Fund I raised €350 million by final close in 2014, having launched the year before, according to PEI data. Assets include wire products manufacturer Drahtzug Stein Holding and kite-surfing and windsurfing equipment manufacturer Boards & More, according to the firm’s website. Recent GP-led processes involving German firms include LGT Capital Partners and Idinvest Partners‘s February 2018 transaction on a 2008-vintage fund managed by Frankfurt-headquartered Halder, as Secondaries Investor reported. The buyers acquired stakes in Halder-GIMV Germany II, which had its life extended by two years, and committed capital for new investments. GPs have been using bridge funds to help in cases where they need to convince investors of their track record; where they have lost key personnel; or where the macro environment has resulted in a slower-than-expected exit pace. Instead of carrying out a process on the fund to secure a stapled commitment for a successor, the GP seeks a stapled commitment to a ‘bridge’ vehicle with a two- or three-year life span. It is not clear if this is what Emeram has been considering. Emeram declined to comment. Park Hill did not return requests for comment.